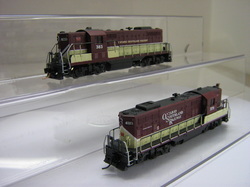 Some Items I've completed, available through Otter Valley Railroad. Click photos to link to Otter Valley Railroad. 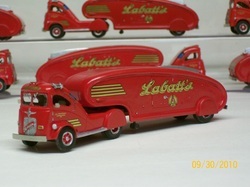 Labatt Streamlined Beer Tractor Trailer Circa 1947 Hollow Cast Resin Kit Includes: Etched Stainless Details and Decals. 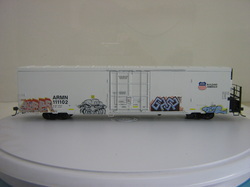 Fully Painted and Assembled.